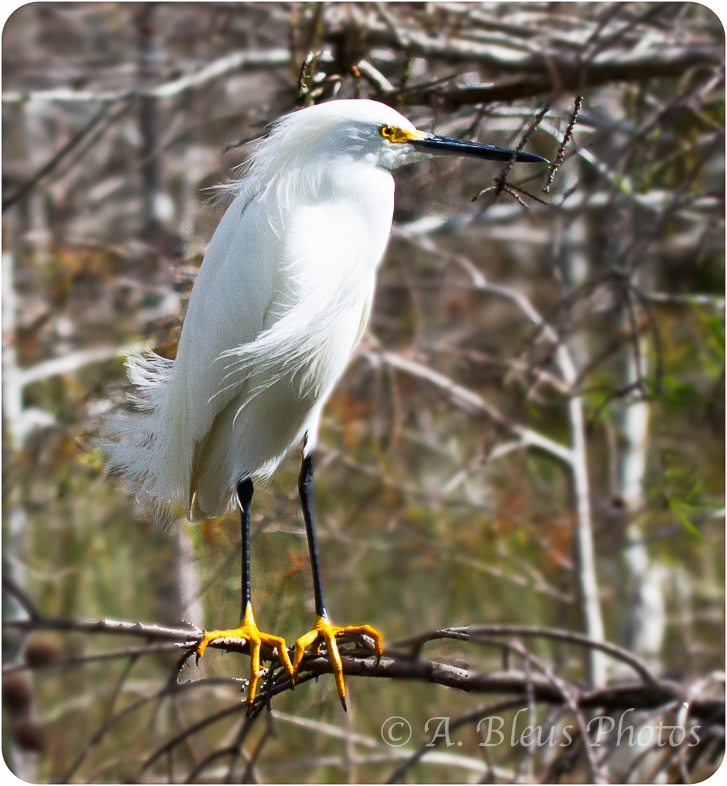 The Spoonbill is one of Florida’s most colorful bird. Spoonbills are a group of large, long-legged wading birds in the family Threskiornithidae, which also includes the ibises. Six species are recognised, all either placed in a single genus or three genera. 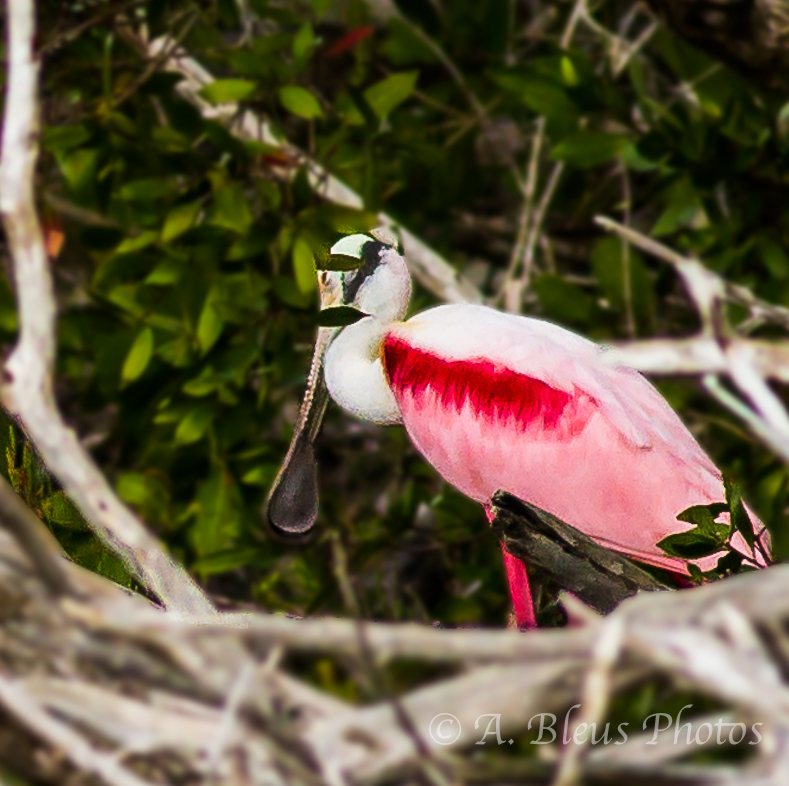 They are most closely related to the Old World ibises. 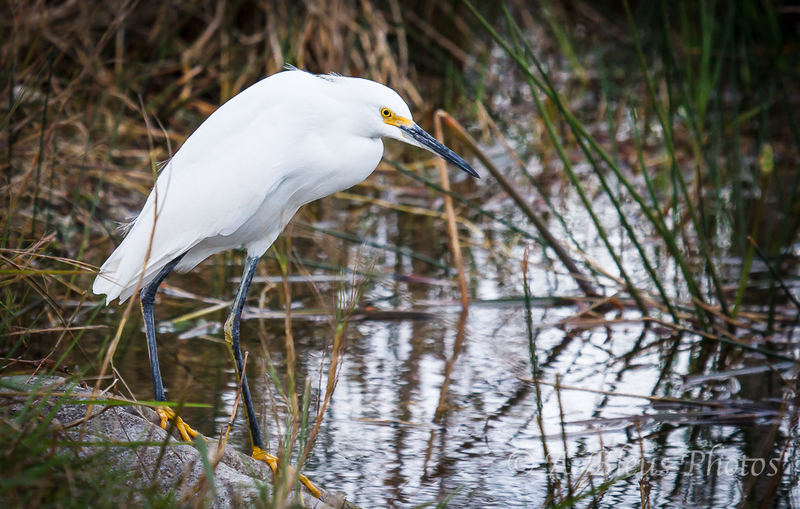 An egret is a bird that is any of several herons, most of which are white or buff, and several of which develop fine plumes (usually milky white) during the breeding season. Shrikes are passerine birds of the family Laniidae. 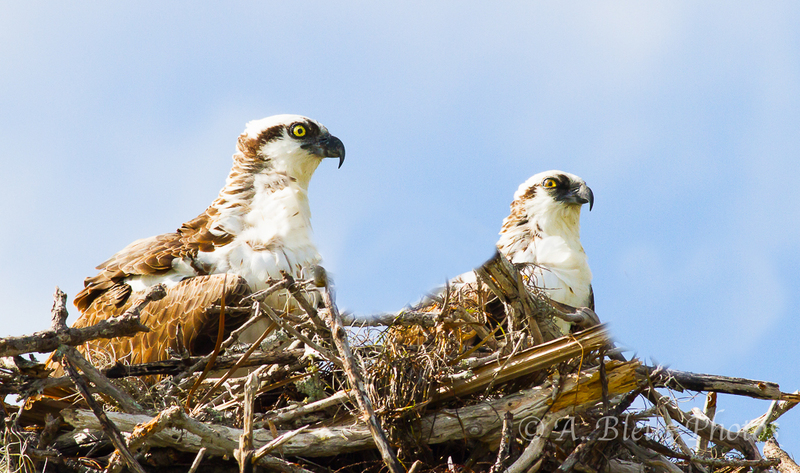 The family is composed of thirty-one species in three genera. 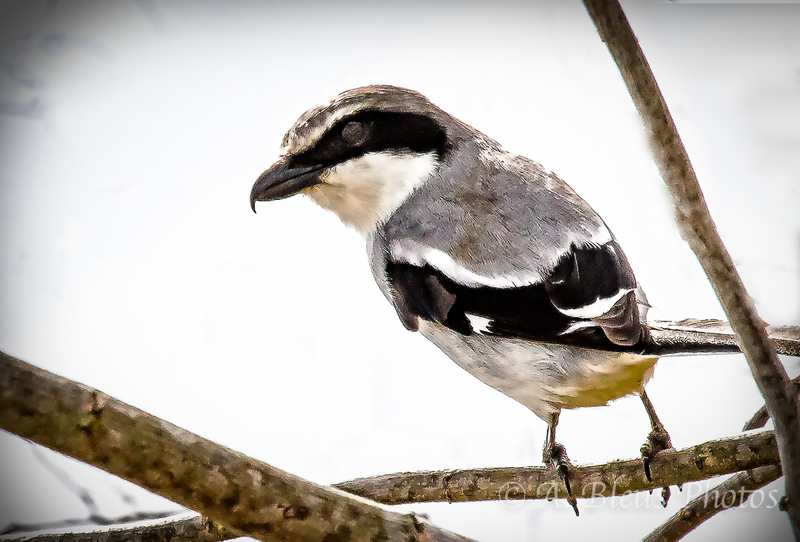 The family name, and that of the largest genus, Lanius, is derived from the Latin word for “butcher”, and some shrikes are also known as “butcher birds” because of their feeding habits. The name “shrike” comes perhaps from the work “shriek” because of this bird’d harsh call. From a distance this bird can be confused with a mockingbird. Also called the snake bird, water turkey or the piano bird (the male only ) because of its feathers. 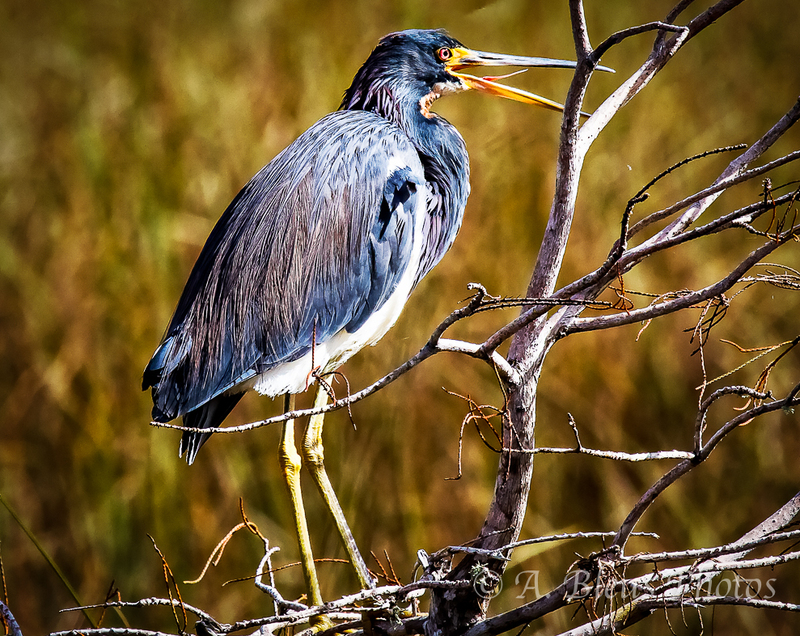 The Anhinga feeds on fish and dives to get their meal. 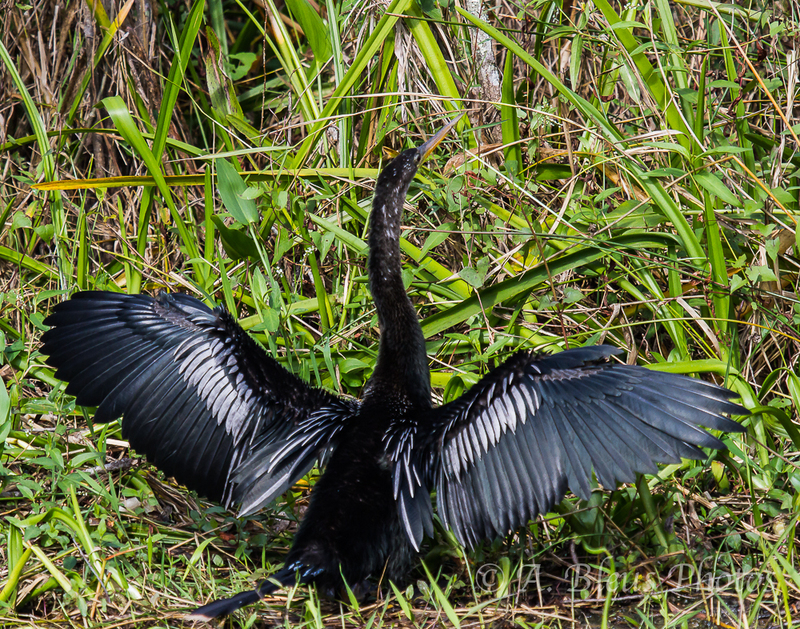 Anhingas must spread their wings after diving in order to dry them in the sun, and also because anhingas do not have oil glands for waterproofing their feathers. 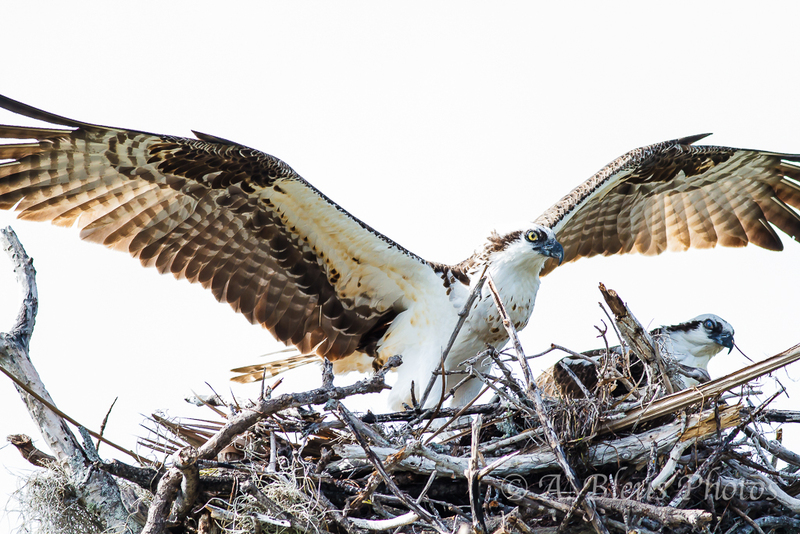 This picture with his white wing feathers is of an adult male. 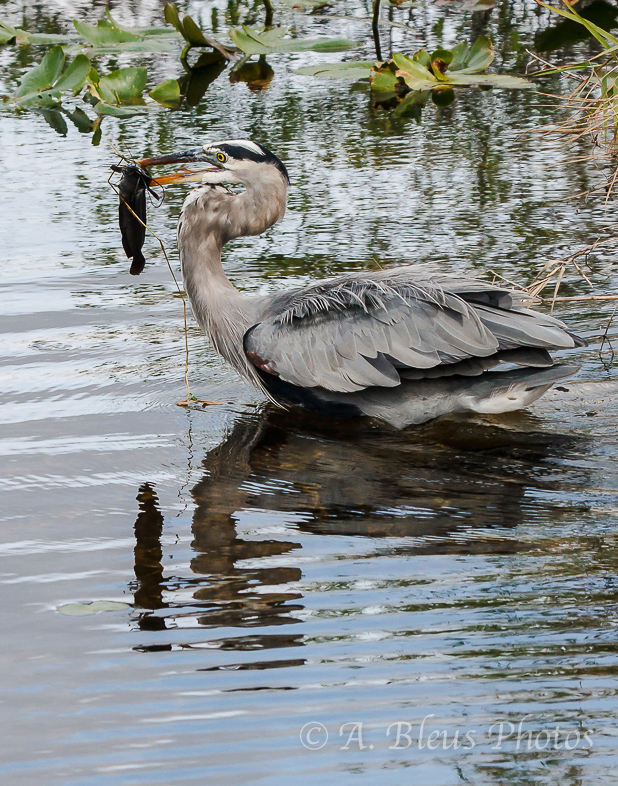 Now it was the turn of the heron to try his skill with this big catfish. The fish needs to be swallowed head first and the size is a difficult task. But in the end, the fish lost the battle. 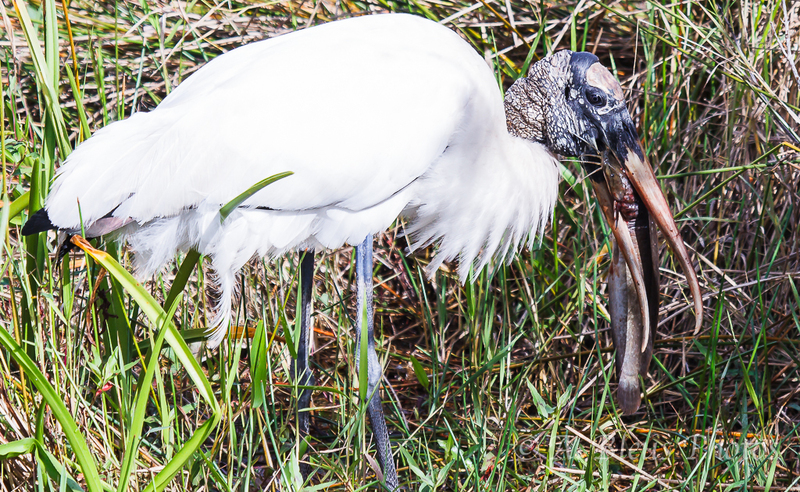 A month ago, I went to the Everglades National Park and took that shot of the wood stork trying to swallow this big catfish. It took him a good 10 minutes juggling the fish before he could finally swallow it, not after the fish almost escaped. 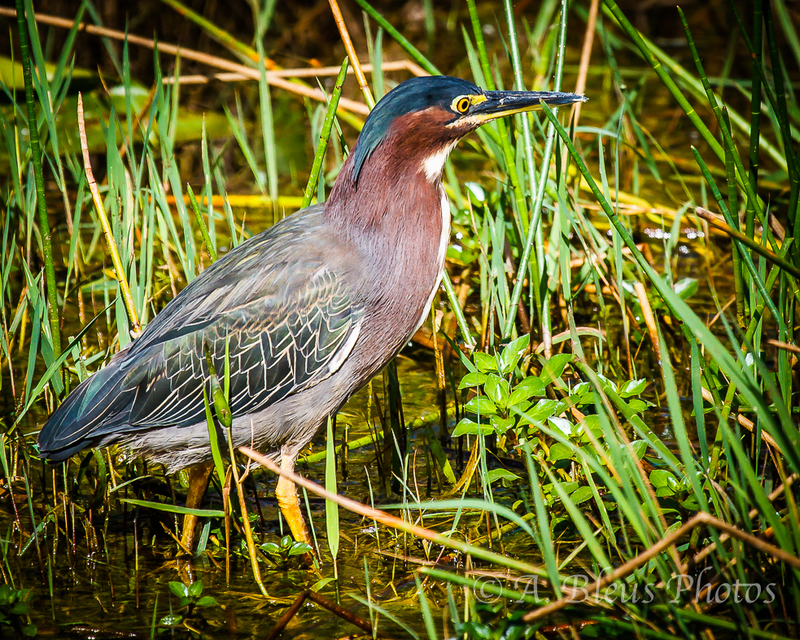 A big fish is always a challenge for the wading birds, and it takes experience and skill to be successful. It was fun and the crowd cheered.